Last Monday I had an early morning meeting with Louise Round CEO and we were joined by Kathy O’Leary our new Chief Operating Officer. As always we started with an overview of the key issues for the week, including feedback from my meeting last week with Sam Gyimah MP, the overall parking review, starting with a survey in Oxted, a review of the waste and recycling contract with Surrey County Council and budgets. On Tuesday evening I went to Godstone for a meeting on the Local Plan. I did an opening introduction to the session and Councillor Keith Jecks, the proposed vice chairman of Planning Policy, presented a short presentation, followed by a challenging Q&A session. 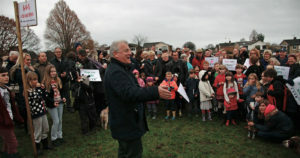 I would estimate about 100+ residents were there including Conservative district councillors Nick Childs, Rose Thorn, Peter Bond, David Weightman and Lyndsey Dunbar. The moral case for housebuilding re rising affordability gap (house prices in Tandridge are 14 times average earnings), with the real need for more council and affordable houses for residents of our district supported by better infrastructure. The Local plan prepared by the Council is caught between our desire for protecting our 94% Green Belt and central government’s determination to increase house building, especially in the South East, to meet demand and reduce the affordability gap. The current average house price in Surrey is £443,000 compared to average in England of £205,000. By Thursday I was watching with interest one of those spats on an Oxted Facebook page that flare up and then die down. This one chiefly concerning myself, my daughter, some other residents and a Mike McGuinness from Lingfield. He? seems to know me rather well and clearly has been following my speeches made in the council chamber closely, also quoting from a meeting I had with Parish Council Chairmen and Clerks last week and must also have been at the Godstone meeting on Tuesday. Odd really, as there is no McGuinness on the electoral role in Lingfield and he or she must have a very good memory or perhaps is secretly recording my speeches to be able to selectively quote from me so well! Thanks to my daughter and another resident for sticking up for me. I don’t get involved with these spats on social media as I think its counter productive. I attended the Local Committee meeting on Friday morning. This is the first time for a few years that District Councillors have joined their County Council colleagues. The six newcomers no doubt made the meeting longer than usual! Some important issues were discussed including flooding in Caterham, highways planned expenditure, rights of way including the crossing at Lingfield station currently, correctly in my view, temporarily closed for safety reasons, while alternative options are explored. I was impressed by the Officer, Tor Peebles, from Surrey C.C. the Team Leader on the Flooding issue in Caterham. Clearly a complex issue requiring a multi agency approach. I was able to confirm that Tandridge had agreed that flooding infrastructure should be a priority for Community Infrastructure Levy (CIL). I was pleased to learn that existing capacity was being brought back up to standard, clearing gullies and the “money” pit (a very large soakaway located adjacent to St Michaels Road), but keen to get a report soon on what new infrastructure required to give better protection to residents of Caterham and Croydon. 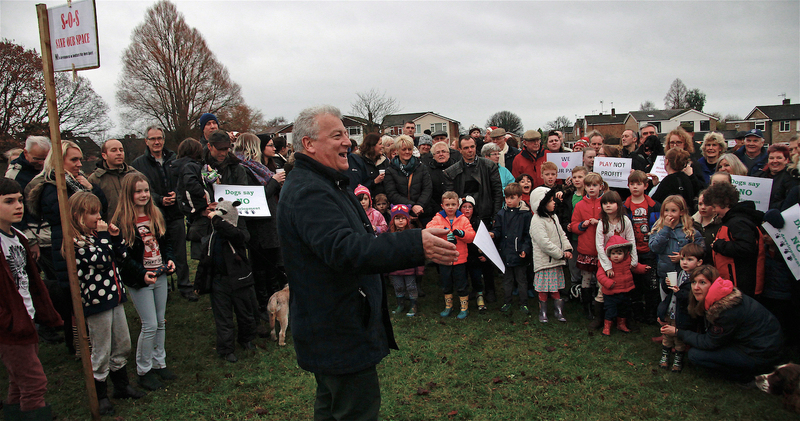 I went to the Boulthurst Way gathering on Saturday afternoon to hear local residents’ views on the open space. Considering it was a rather damp afternoon there was a good turn out and I was able to listen to views and articulate the Council’s position on this piece of land which it owns. 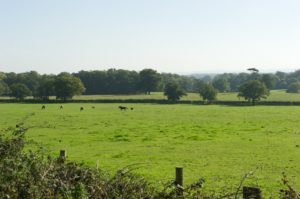 The Council has put this piece of Land into the Local Plan sites consultation. The Council’s Resources Committee has already said a significant open space must be retained for amenity value and children’s play area. Residents have until 30 December to give us their views as part of the local Plan process. Do nothing, acknowledging the recreational use of this land. Sell it to a developer to meet general housing need. Build council houses (average wait for priority families is currently 3 years). Build affordable homes which the Council owns and then lets at a lower rate than market prices to key local workers. Develop the site as part of a wider scheme in the area. We also need to demonstrate to a government inspector, as part of the Local Plan process, that we have investigated the various council owned sites and have an evidence based approach to defend our district from unwelcome development. Thank you to the organisers and for the sense of fair play extended to myself and fellow conservative Councillors Liz Parker, Barry Compton and Rose Thorn. On Sunday we held our annual Christingle service at St Mary’s Oxted. Well attended with over 100 in the congregation as we assemble our Christingle from an orange, candle, cocktail sticks and sweets. Sung my first Christmas carol this year “O little town of Bethlehem”.